1. The importance of “breaking in” slowly: Major league baseball players go to Spring Training. There’s a reason behind this and it has implications for our sons/daughters as well. It’s important that all players from Little League through professional go through a slow pace of working their arms in the pre-season in order to achieve peak performance during the games. The throwing motion puts an enormous amount of stress on our kids’ shoulders and elbows; it’s vital that we introduce this activity gradually before the start of the season to get these structures used to these stresses and strong enough to handle them. 2. Play catch with a purpose: The first exercise and most important is the long toss. I remember one summer sitting at Yankee Stadium watching CC Sabathia warm-up before a game. He started by throwing to another player who was on the right foul line while he stood in centerfield. He gradually backed up, step-by-step, increasing his throwing distance until he was on the left foul line. I was amazed at the strength of his arm and accuracy of his throws. It was a very slow long-toss work out that he went through to warm up his arm to be able to throw above 90 mph. Even the most seasoned baseball players take a long time to warm up. This long toss activity is one example of a great pre-season exercise. This activity is performed as the two players gradually back up a step at a time increasing length and distance in between throws. The drill should start 10 to 20 yards and working up to 60 to 70 yards (depending on age and skill level). It allows the players to gain strength but also work on accuracy. This exercise also has a positive effect on the ability for young players to develop hand/eye coordination and to improve the skill of catching the baseball. 3. Kids need to be kids. Many studies are showing that the specialization of one sport is not a good thing. Baseball players need to be good athletes and develop skills in many areas. Repetitive activities cause many issues such as early tendinitis and problems with fragile growth plates. It is important for parents to realize that it is not necessary for children to be overly pushed at a very young age. 4. Conditioning and stretching is very important! Coaches should emphasize a good conditioning and stretching program. Incorporating these elements into warm-up is particularly important in the pre-season and also while the weather is still cool outside. Push-ups, sit-ups and other activities that are bodyweight-type activities are the prescribed exercises for children younger than 12. Weight training will be used as player ages and gets closer to full maturity. Doing push-ups is a good exercise for a player to gain muscle control of the scapula as well as critical strengthening of the rotator cuff muscles. 5. No breaking balls before 12 years old. 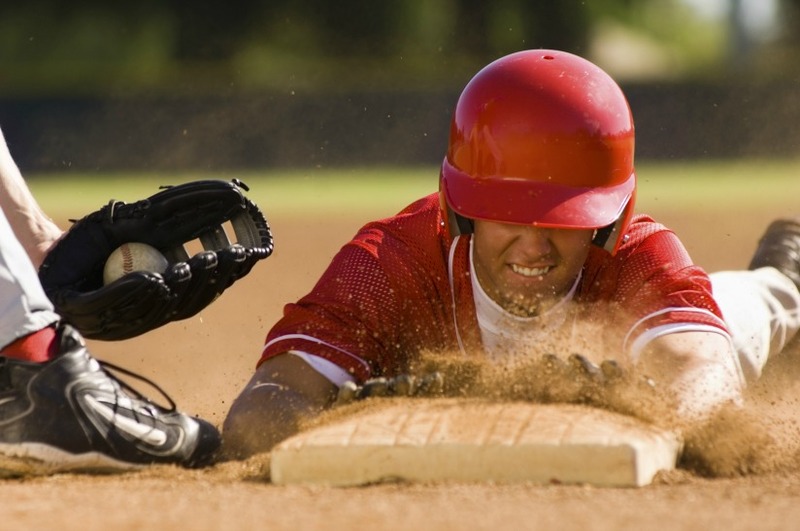 Because the tissues of the growth plate are fragile, as well as other related structures of the shoulder and elbow, it is important that overhead throwing athletes do not throw “breaking” pitches and other pitches that put too much stress on these joints. Young players ages 8 through 12 should work on honing their skills of accuracy, consistency, and velocity. 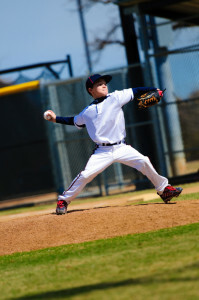 The curveball and other such pitches will come as the pitcher continues to develop accuracy and builds more strength. Physical therapists are experts in body movement with extensive education in kinesiology and physiology. We have the tools in place to help young throwers with their pre-season strengthening and conditioning program. 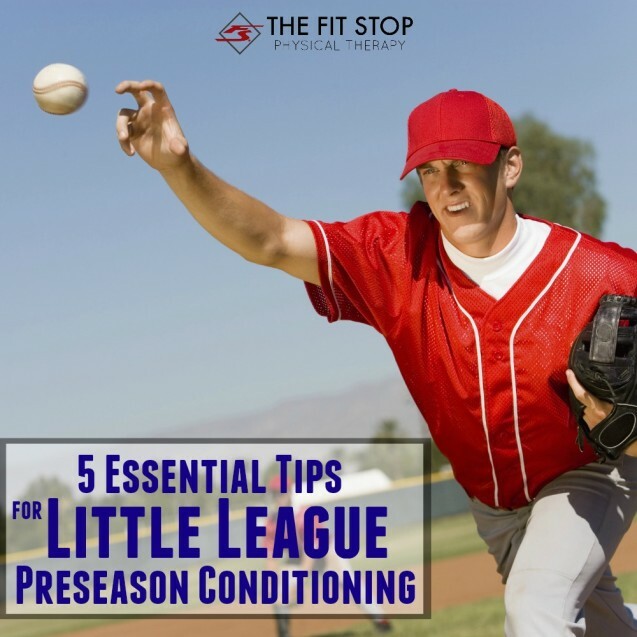 If you’re experiencing pain or would like to get started on a pre-season throwing strength and conditioning program for your little league athlete we would love to hear from you! Click on the Fit Stop clinic location closest to you to set up your initial consultation today!